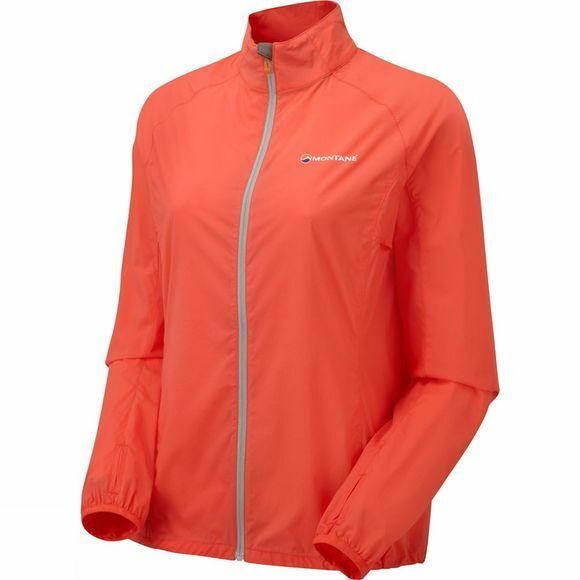 Designed for trail running on cool mountain days, the Womens Featherlite Trail Jacket provides windproof protection that is also fast drying and extremely breathable. 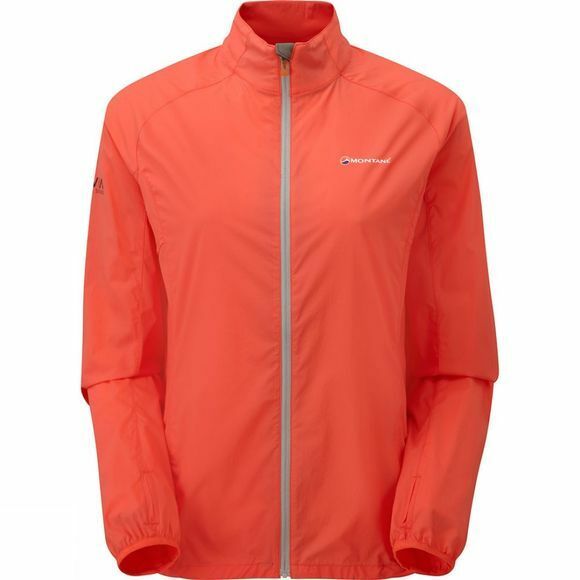 Wind Barrier Dynamic is a lightweight, fast drying and exceptionally breathable fabric. Its stretch combined with the jacket's tailored fit allows for dynamic upper body movement when running. Underarm vents aid cooling during high exertion while the hem can be cinched closed to prevent heat loss while you rest.